An exploration of pollarding techniques by Helen Read, who visited a number of countries including Norway, Sweden, Romania and Austria. A method of age estimation is proposed that avoids any damage to vulnerable specimen trees. It relies upon comparison with lists of measurements of known date. From these the likely performance of various species in different locations on particular site types can be evaluated. Cross-referencing between individual specimens is credible because trees develop predictably through well-defined patterns of growth. Age can be calculated largely from annual ring areas within the stem, as determined by a simple girth measurement. Technical handbook setting out the methodology used by Natural England to update the ancient woodland inventory. This technical handbook sets out the methodology used by Natural England to update the ancient woodland inventory. This methodology was developed during the south east ancient woodland revision project. The report provides a clear and consistent methodology for updates, so that the inventory can be systematically updated by Natural England and partners, and for others to understand and apply the methodology. 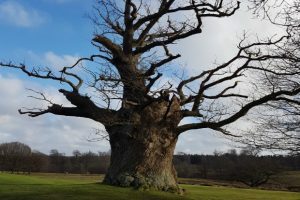 Natural England is keen to enhance the accuracy and precision of the Ancient Woodland Inventory (AWI) across England using new technology and a more robust evidence base than was available when the inventory was initiated. This is a large task and the validity and consistency of its outcomes will depend on certain common approaches being applied to the different wooded landscapes across the country. 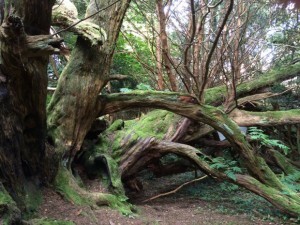 Online payments to Ancient Tree Forum are taken securely online through Paypal. You can use your debit card or pay through your Paypal account if you have one.